Money Machine cash grab game is the hit of any party event. It's perfect for promotions and party rentals, as flying cash always grabs attention and draws a crowd. 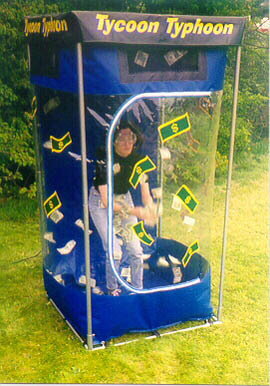 Everyone wants the chance to win the cash blowing around in the cash cube.